SWIMMER, PARALYMPIC MEDALLIST, PINK DOT AMBASSADOR 2017. Theresa is a 31-year-old national athlete who took to swimming at the age of 5. Since then, she has gone on to represent Singapore in various competitions worldwide, winning numerous medals, including a bronze in the SB4 100m breaststroke at the 2016 Rio Paralympics, and holding the world records for the SB4 50 metres and 200 metres breaststroke events. All this was achieved while coping with the physical pain she often had to endure due to her congenital spina bifida, a condition that resulted in her having to use a wheelchair for her physical mobility. She came out publicly as a lesbian in an interview with The Straits Times in June 2017, citing that it felt like 'the right time'. In the same year, she became a Pink Dot Ambassador, going on to represent a shining beacon of limitless possibilities for Singapore's LGBTQ+ community. 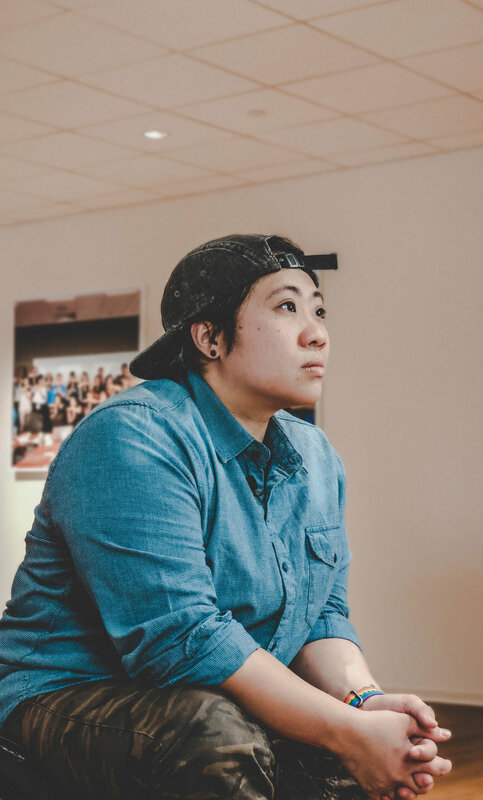 As a queer athlete, she has seen how substance abuse has impacted both the sports and LGBTQ+ communities. For some, drugs and steroids became quick fixes for performance enhancement or as a means of escape. Why do you think the LGBTQ+ community is susceptible to substance abuse and addiction? Complete this sentence: "Our Story is..."